With thousands of law firms attempting to attract new business and position themselves as market leaders, competition is fiercer than ever before. Our business growth services for law firms can help you become more competitive, giving you a compelling reason for clients to choose your firm, and sky rocketing the number of leads that you can convert into clients. 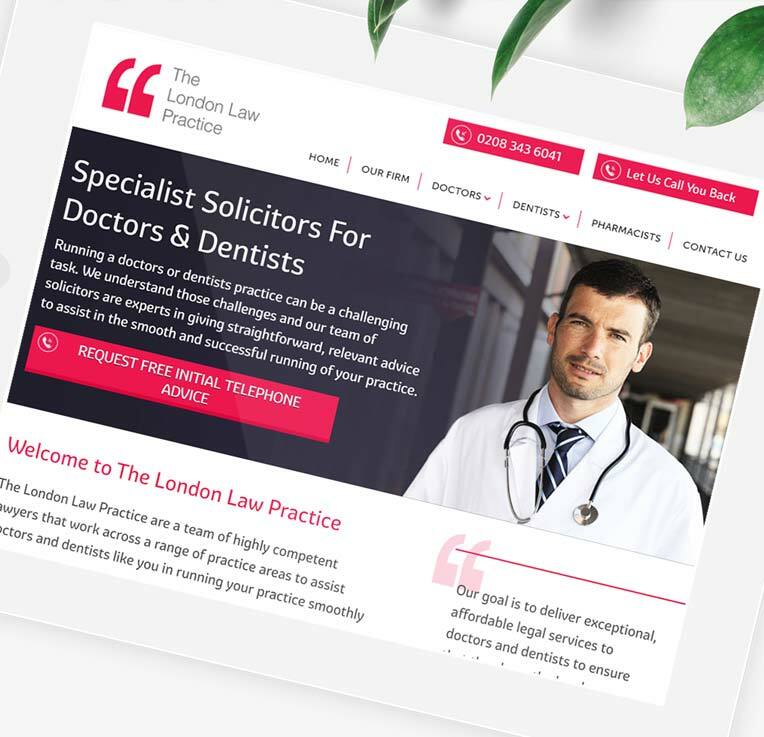 We’ve helped solicitors who are starting up a new law firm, with bespoke branding and web design to help them win over those first clients and make their mark online. We’re equally at home when revamping existing brands, bringing their identity up to date and ensuring their marketing setup is prepared for the digitally-oriented future. Brand strategy and positioning answers the question that prospective clients have in their mind “why should we instruct your law firm?” which is critical to all your sales and marketing efforts. We can help you create an intelligent brand strategy that will differentiate you from all of the other law firms and solicitors out there, who are competing for business, and will provide an emotional trigger that clients feel when they interact with your business. Your brand and your logo is how present and potential clients identify you. Whether you’re looking for a brand refresh, or the development of an entirely new brand from the ground up, our creative and commercially driven team can help you convey the ethos of your firm, as well as position you strategically to win new clients and drive growth. Your law firm’s website is the hardest-working member of your marketing team and should be your firm’s highest fee earner! As your prime online asset, your website should not only reinforce your brand strategy and identity, it should attract new customers, convert interest into leads and generate business, boosting your profits. With a conversion-oriented design that is tailored to your exact needs, we’ll collaborate with you to develop a website befitting of your law firm. 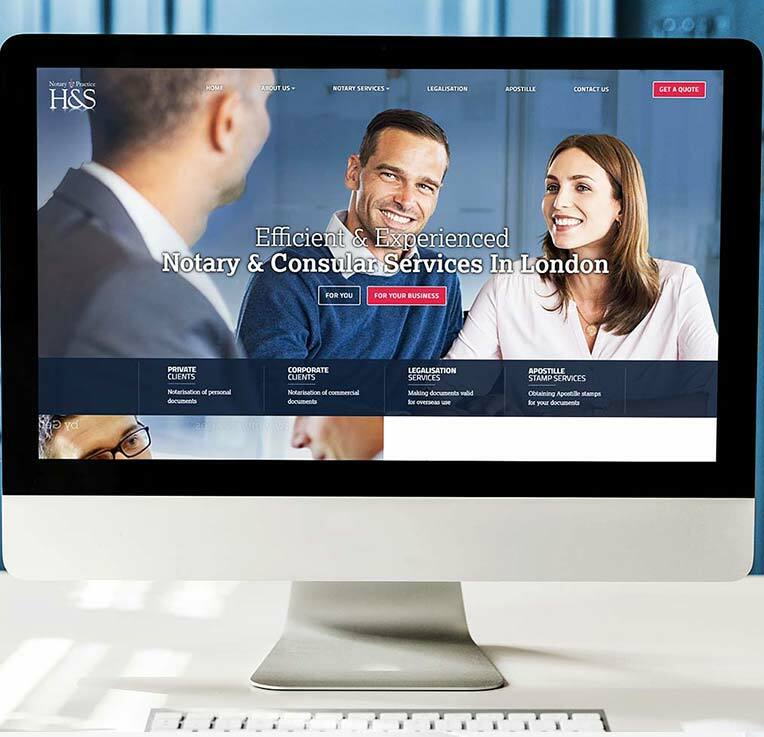 Your bespoke site will be packed with tools and features to help you win new business, while enhancing your position as an influential law firm. Our team will get to know your firm, striving to understand what makes it unique (from a client’s perspective) in order to develop a website which coherently represents your law firm’s values, while also ensuring a positive experience for all visitors. Law firms need a coherent marketing strategy, just as much as any other business, that leverages digital and offline channels to reach out to their ideal target clients. Our aim is to drive your business through the roof, generating lucrative leads and then helping you convert these leads into profitable new business.